He lives a few blocks away from me. Thanks for the comments, BJ! My digital camera has been broken for a while, so I haven't updated the pictures. 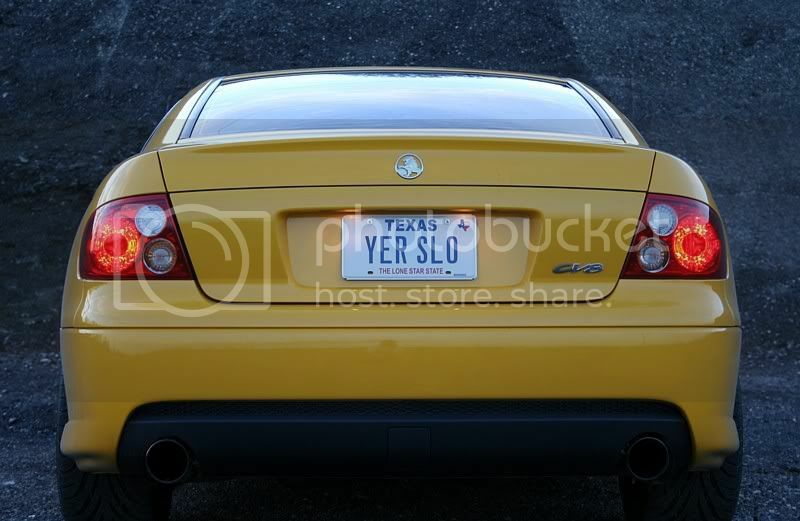 I never put the CV8 badge on the back since they sent me the badge for an older Monaro. Now that summer is rolling around, I might toy with taking the spoiler off again. Laura didn't like it much when I took it off, but she's probably just used to seeing it with the wing on. Looking at the specs on that monaro conversion is giving me the itch for some go-fast parts... Wasn't that car in a magazine or something? I thought I read something about that on the LS1GTO forums. Also - thanks for posting the big picture on my blog. I didn't realize auto-resizing wasn't enabled for the comments. (DOH!) I updated the CSS to take care of it so it renders properly now. charge you 3%. Just my opinion.